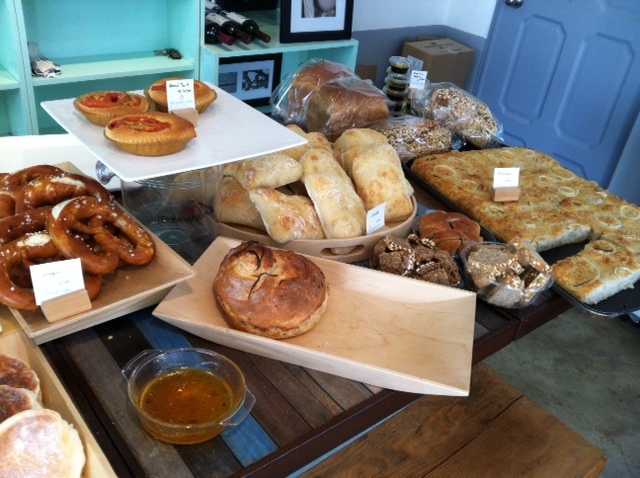 ﻿There's a new bakery in town, and it's loaded with BEAUTiful German loaves, pretzels, rolls, and the like. 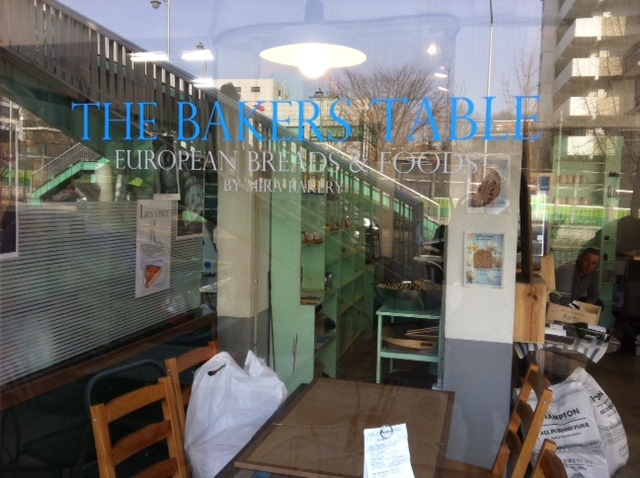 The Baker's Table has been getting a lot of buzz, even though it's quite young. The shop is filled with yeasty smells, and spicy jams where you get to taste test some very scrumptious, complex creations. What I love the most about bakeries in the morning is grabbing those fresh, warm, crusty loaves, their heat warming your hands as you hold them. I bought a pretzel and an onion foccacia and eagerly wandered home to make a massive sandwich. 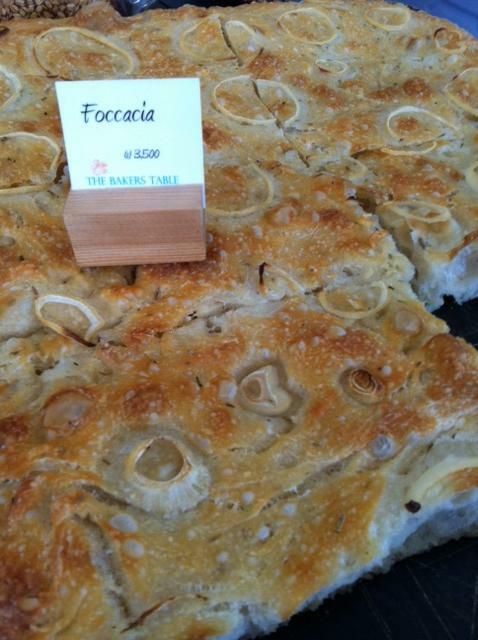 The foccacia was perfect~ pillowy, crunchy on the outside, the onion was subtle- not overwhelming. And it was generous in size! 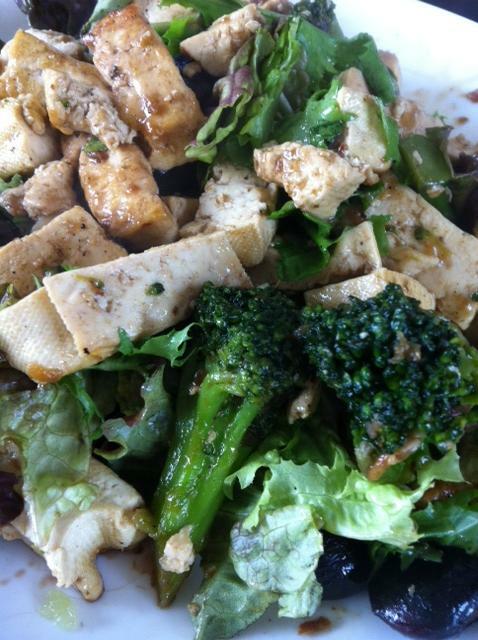 I have an inkling I'll be running more just so I can eat more of this! 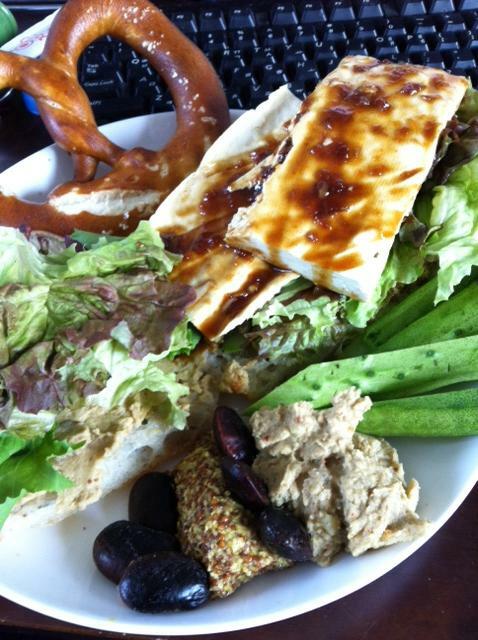 ﻿ I'm already excited for eating this jazz throughout the day (and probably some tomorrow)! How do you get to The Baker's Table? Noksapeyong station, line 6, exit 2, walk straight and go through the underground tunnel, take the left staircase. Walk straight and pass Noxa on you right, continue straight towards the overpass and right before the stairs, you'll find The Baker's Table on your right. Going to be such a big help when my sis and her boyfriend come to Seoul. I'd like to see some more of your photography work. Thanks so much for the kind words and for reading the blog! 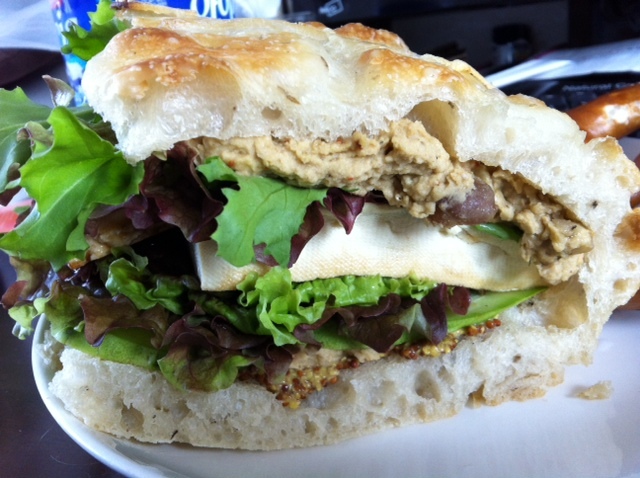 Being vegan here has it's struggles but it is completely possible!! I haven't posted my photography on anything else besides this and some magazines! Yum yum yum! Keep on meaning to head there but always procrastinating. The pics in this blog just makes me want to go now! Goodness me, they look delicious! !